From a certain point of view, data is a little like money. Financial advisors always recommend maintaining a diversified portfolio, the idea being that if one stock or mutual fund tanks, you won't go broke. The same concept applies to backups: By diversifying your approach--that is,&#160;archiving your data in multiple places using multiple methods--you're safe even if disaster strikes one location or collection of data. 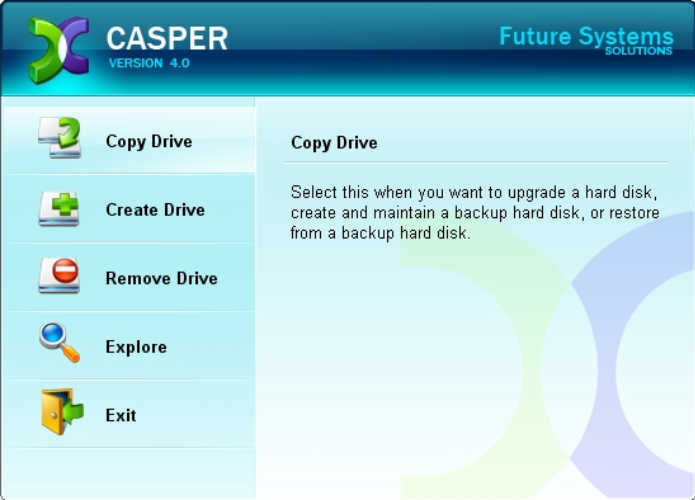 A drive-cloning program like Casper 4.0 makes simple work of duplicating your entire hard drive, but it's only the first step in a diversified backup plan. With external 300GB hard drives readily available for as little as $100, there's no reason not to keep one plugged into your PC. Pair it with a drive-cloning utility like Casper 4.0, which can perform scheduled, incremental backups with or without compression. A full-system backup to an attached drive is your best line of defense against data loss: In the event of total failure, it's a simple matter to restore every bit and byte to a replacement drive. Online backups are an essential part of a diversified backup plan, but they're practical only for data, not entire hard drives. MozyHome provides 2GB of free storage or unlimited storage for $5 a month. For this step, look to an online backup service like iDrive or MozyHome. Both offer 2GB of free storage and the option to upgrade to unlimited storage for $5 a month. Mozy relies on client software to help you select both common file types to back up and important user data files for programs like Outlook and Quicken, while iDrive uses an Explorer-style interface for selecting specific files and folders to preserve. The real advantage to both services is that they work automatically and in the background, uploading new and changed files while you work (or at scheduled times). That kind of set-it-and-forget-it backup is well worth a few bucks every month. If you'd rather save your pennies and don't mind taking a more hands-on approach, loads of services let you park files online free of charge. ADrive, for one,&#160;offers 50GB of absolutely free storage. 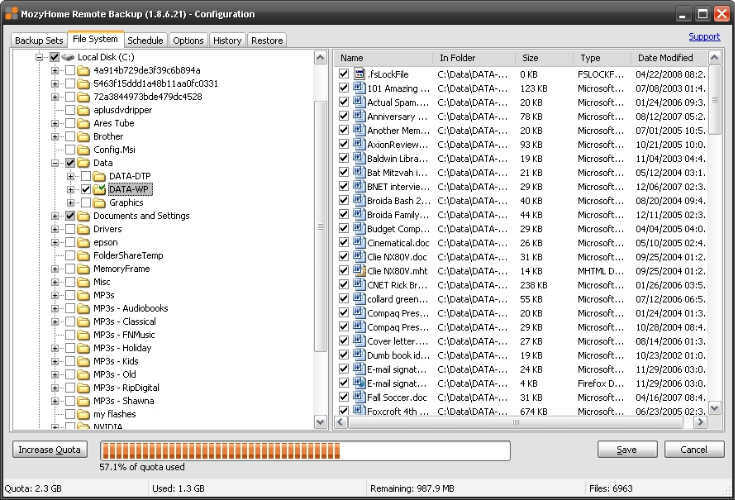 However, no synchronization is involved: It's up to you to pick and choose which files to upload, and when. Thus, use these services for files that don't change all that often, like MP3 and photo libraries.